A composing tourney was held to celebrate the forthcoming Chess Olympiad in Baku (Azerbaijan) this year and it received 42 entries. The Judge, Martin Minski (Germany) has nominated provisional awards. The following entry received the First Prize. Score a first by solving it yourself! You are playing against Magnus Carlsen in the World Blitz championship. He has drifted into a lost position with some careless play. You have only 5 seconds to his three. How do you deliver the last shot? I stumbled on the following position by chance while I was researching material for an article. It was the name of the composer that took me by surprise. I had always known him as one of the most brilliant players in chess history, but not as an author who created problems. Indeed, the three-mover here bears the stamp of his artistry. The 4th FIDE World Cup in Composing was held early this year by WFCC. The studies section received as many as 49 problems. Here is the winner of the First Prize. The 4th FIDE World Cup in Composing was held early this year by WFCC. The two-mover section received as many as 50 problems. Valery Shanshin (Russia) was the winner of the First Prize. Two of our readers got the solution right. We congratulate them and thank the others for their efforts-Ed. Solving tactical exercises is a crucial part of training for any competitive chess player. If you only choose to work on a single element of chess, focusing on tactics is an obvious choice to get real results. 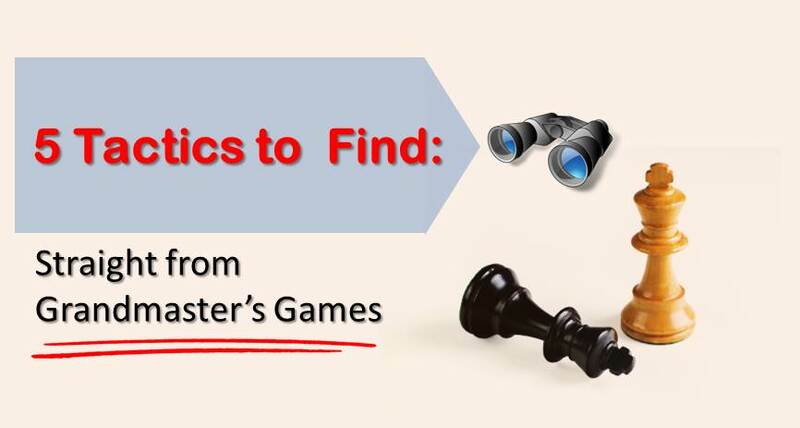 These problems are taken from the actual Grandmaster games, and therefore it is the best type of tactics which will help you to improve your game. 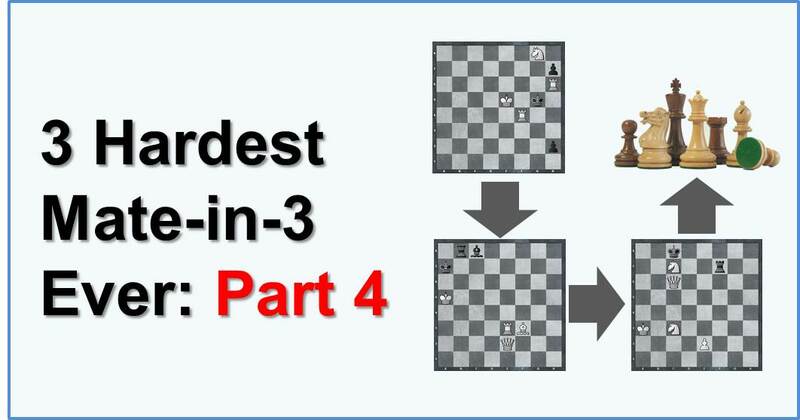 In today’s article we present 3 very tough mate-in-3 problems. Needless to say, how important it is to solve tactics consistently. If you’d only be allowed to pick a single training exercise to improve your game, solving tactics is no doubt one of the most effective ways to get there. Solving tactics in the correct way, will help you to improve much faster than just solving tactics. You may want to read here about what do I mean. Time to start solving. Good luck! 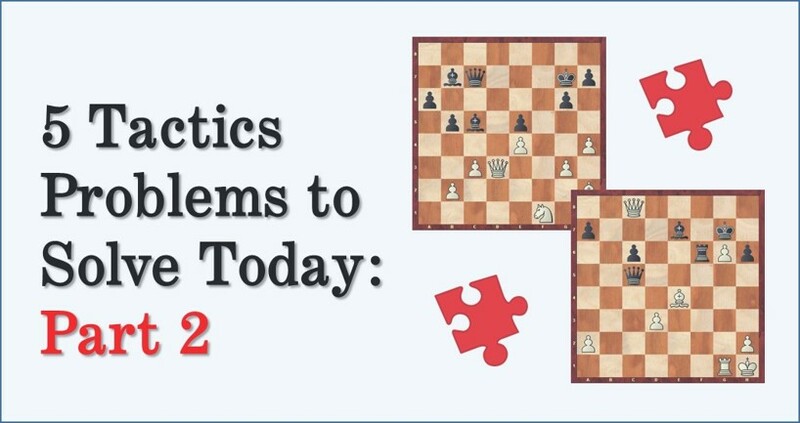 We are excited to announce that we are holding a tactics solving contest for a chance to win a free access to 21 Days to Supercharge Your Chess Program. To enter the contest your need to solve all 5 tactics problems and comment with your solutions below. The 2 best solutions (correct notation, all lines analyzed, etc.) will get a free access to the training course. Today we continue our series of real-life chess tactics. In order to solve these problems you need to deeply understand what’s going on in a position. Some of the problems do not end with a checkmate, but it may be possible to win significant amount of material which literally guarantees a win. Also most of the problems have more than one main line. Take a careful look at the problems, and find all variations. The following position is familiar to experienced solvers. We crave their indulgence even as we introduce it to younger readers. White rook is under attack and Black pawn is about to queen.